“We are very pleased that Solvina with their competence within the power industry have decided to invest in SeaTwirl AB. Together with Solvina, we will have an even better opportunity to succeed with our long term goals which is to become one of the leading companies within offshore wind”, says Gabriel Strängberg, CEO of SeaTwirl AB. Solvina is an engineering company located in Gothenburg and was founded in 1997. Solvina provides know-how and methods to create enhanced performance and availability in the power and process industries. Solvina has recently invested in SeaTwirl AB. “We are excited over being a part of SeaTwirl AB. We see synergies that can be very helpful for both parties. The inherent ability of the SeaTwirl design to improve power grid stability and store energy can be a game changer for the amount of wind power one can integrate in a given grid”, says Pontus Ryd, one of the owners of Solvina. 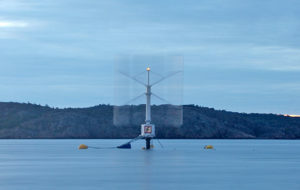 SeaTwirl AB is developing a floating wind turbine built for the ocean. Sea Twirl’s new design will totally change the view of how offshore wind turbines will look like in the future. These wind turbines are easier to build, install and will require less maintenance than the traditional offshore wind turbines. SeaTwirl AB has the ambition to provide the most cost effective product for the production of renewable energy.